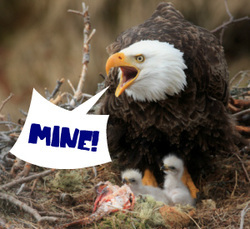 Adopt-an-Eaglet is for all those newbies wandering lost around the Roost! If you sign up for the Adopt-an-Eaglet program, then hopefully an older eagle will come along and take you under their wing. There is a list of the regular adopters and then people waiting to be adopted, and once an older eagle has decided to take you in, they will answer all your burning questions, help and show you around the Roost. So if you are a new eaglet, sign up for the Adopt-an-Eaglet program today, and soon you’ll know the Roost like the back of your hand! You can Adopt-an-Eaglet as long as you have been part of HOL for at least 2 years or are in your second year. And if you fill those requirements and think you would like to take a newbie eaglet under your wing, then head over and check it out, and sign up! There is a guide on how best to take care of your eaglet, so it is clear what you have to do! There isn’t much else to say except have fun and I hope you find the Adopt-an-Eaglet program useful!